Common multi-gyms mostly only offer a resistance of up to 90 kg, which can be set in 5 kg increments. The Taurus multi-gym UltraForce offers a resistance of 100 kg, that can be set in 1.25 kg increments. Such a levelling is a great advantage for beginners as well as trained sportsmen, who want to increase their performance. In addition, both sides can be set independently of each other. That's usually only offered by professional gym equipment. 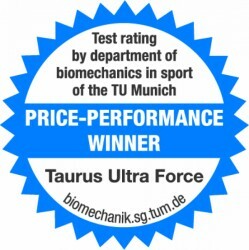 The Taurus multi-gym UltraForce is lighter in various respects. On the one hand, there is the weight, of course. A weight block including body often weighs more than 100 kg, the hydraulic system does not weigh more than 10 kg. The multi-gym weighs less than 100 kg all in all! 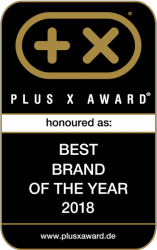 It is of great advantage from delivery to home use. You have to take less, when it is moved to the set-up place. The assembly is much easier, because the resistance pistons are pre-mounted to a large extent. The multi-gym can be moved. Hydraulic multi-gyms like the Taurus UltraForce are probably the sole multi-gyms, which you can move easily. When you push the envelope throughout the training, sometimes it cannot be avoided that the weights fall off. And the weight block bangs loudly. That's very annoying at home especially. 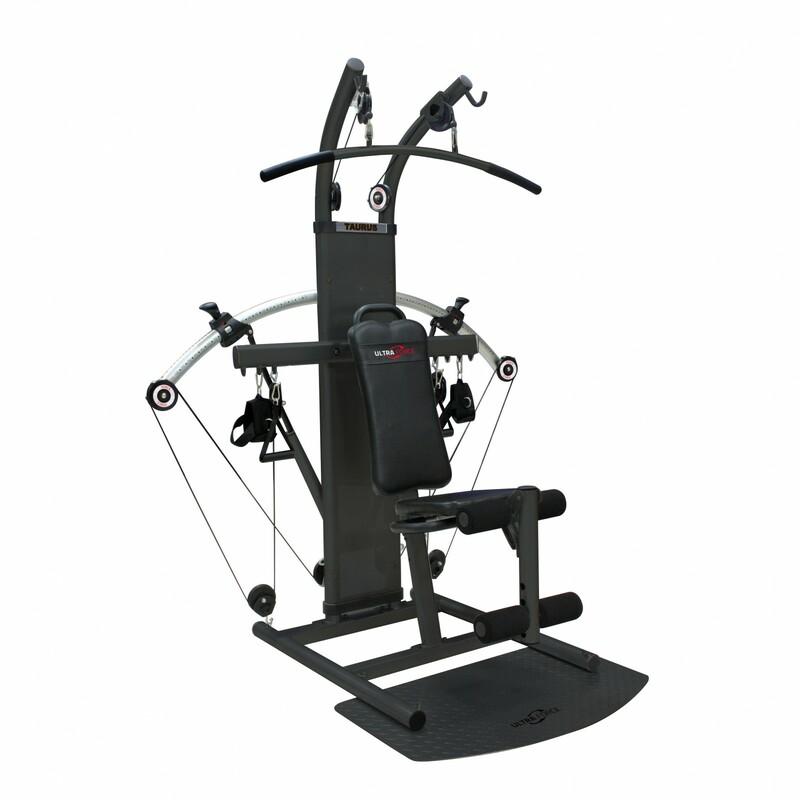 The hydraulic system of the Taurus multi-gym UltraForce is always silent. The only training noise comes from your puffing and blowing. In addition, fingers cannot get caught between the blocks, nobody can get something caught using the Taurus multi-gym UltraForce. The pulley system of the Taurus multi-gym UltraForce might look quite simple at first sight, though, in fact, it is very versatile and variable. Other multi-gyms might have more pulleys, but those of the Taurus multi-gym UltraForce are mounted in a way that they can be changed. Thus you can turn a butterfly module into a biceps curl or a chest press into a leg extension. It is quite simply done by hooking the pulleys in at a different position. Besides both free pulleys, the Taurus multi-gym UltraForce is also equipped with a lat pull bar for a very effective training of the back. Furthermore, the seat can be removed - and you can do many exercises in standing position. Standing butterflies on the pulley are, i.e., a very effective exercise for strong chest muscles. All in all, the Taurus multi-gym UltraForce offers about 100 exercises. It's not that bad for a multi-gym without weights. Very good quality for the price. Somewhat fiddly to change the available exercises, but very straightforward to use. Takes a while to assemble. Overall is very good. Taurus multi-gym UltraForce add to comparison list.